If life is to continue to be beautiful and exciting, change is essential. The fall season is a minute exemplification of what beauty foreshadowed looks like. The beginning of a new start—new beginnings are beautiful. The bright and deep yellows, orange and brown tones exuded by fall flowers bring about hope, contemplation and excitement for what is yet to come. Fall/Autumn—the season most laden with meaning. It is during these months that families gather to celebrate all the growth and abundance in the seasons before it. And while it is full of hope, beauty and comfort, Autumn brings with its loss and an uncertainty of the future. As the trees shed their leaves in some of the most breathtaking colors, they stand bare and ready to start an even more beautiful season. These deep bold colors of fall reflect the change ahead of harsh winters and cold nights and they invite us to nestle up in blankets with our loved ones as we stand back and allow beauty to unfold all around us. Change can be trying but fall demonstrates that change can be unique and beautiful. This change invites us all to slow down, get cozy and embrace all the change every around us with a hopeful anticipation of the new beginnings of the new year. A small collection of fall-inspired decorations within the house such as pumpkins, leaves and cinnamon scented candles help to celebrate more tangibly the change taking place outside. The colors of Fall arise in everything around us, the browns, yellows, oranges, reds are back. A new season of Pantone colors that we look forward to each year, whether you are a full house decorator, small gift giver to all your close friends and family or someone who shops to help decorate a space for a holiday party or gathering. It’s Fall Time Again! 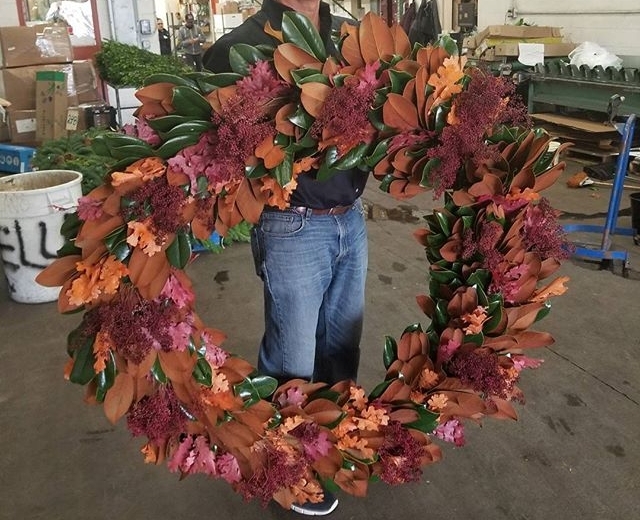 For Mellano and Company, it’s holiday time, as we enter into Fall, we bring back the beauty of Wreaths, Garlands, Holiday Arrangements, Marigolds, Pepperberry, Pumpkins and More!